This is him last year at 19 years young. Home of National Champions Adelaida V+// and Jullyanna+. Nice horses! Do you have any more of Espirito? The gelding whose videos I posted is a maternal *Numaa grandson. The *Numaa kids are fantastic, and priceless! My mom owns a *Numaa daughter--she is SUCH an athlete! Here's a picture of Hhoudini the wonder horse! 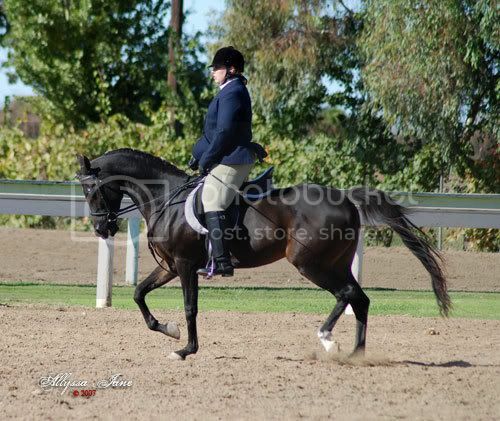 This is my 13 year old daughter's horse and he is soooo wonderful. 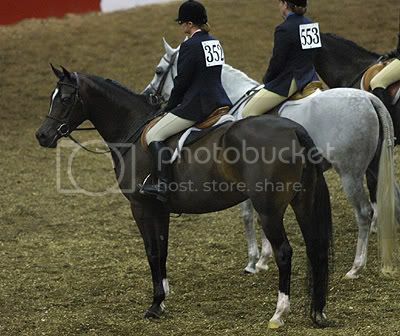 I don't have a good show picture yet but hopefully we will get one this year. My daughter has never jumped before and he took really good care of her. She will be showing him in 13 and under hunter pleasure this year. 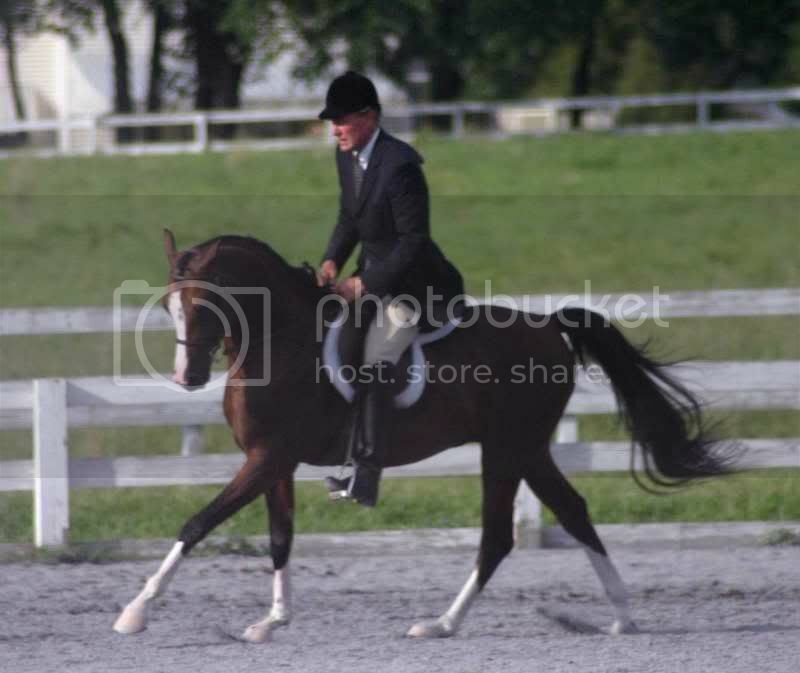 His headset is more of a sport horse type but he is consistently in the ribbons as he has great extenstion and is always very well mannered. 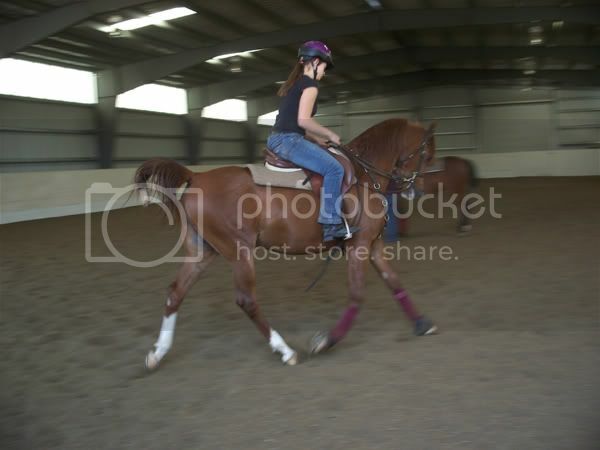 Can you tell I really like this horse. CT Kashmir has made his debut into the Hunter Pl. world! I just knew he was going to be a Rock Star! Kash started his under saddle training (with me, ammy here) at the end of Jan. and went to his first show yesterday, placing 3rd out 21 in his very first class! 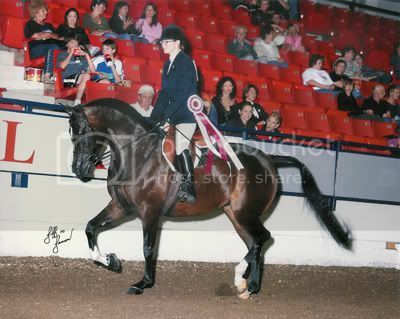 It was an open schooling show with all breeds and he held his own! I'm so proud of Melanie & Kash I could jump up & down & scream! Next show DAHA in May! We'll be ready! Where Quality & Friendship Matter! I must tell you that I have always been a fan of your Esquire, he is the complete package of beauty, brains and talent! Ozzie - thanks...and we intend to show everyone that his babies are the same way too Thanks again! Here are some pics of my project horse. 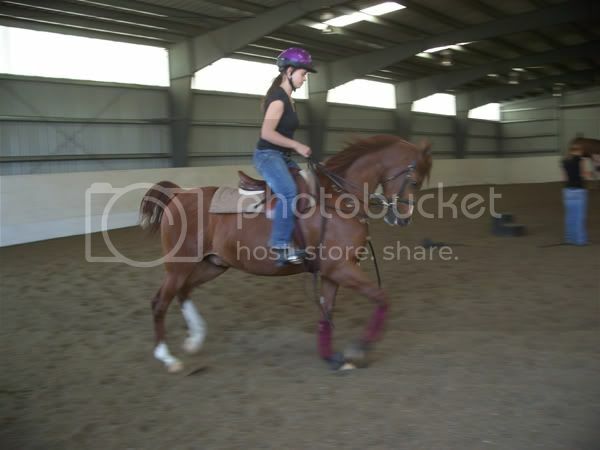 He belongs to my trainer, and I have been helping her train him since last fall. His first show is next week! Working for multi-national champion trainer Cari Thompson!